The Education and Training Service (ETS) for the Nepean Blue Mountains Local Health District (NBMLHD) offers staff over 130 courses per year, including a comprehensive range of both clinical and non-clinical courses and programs that support the operational requirements of the district and enhance health workforce knowledge, skills and productivity. 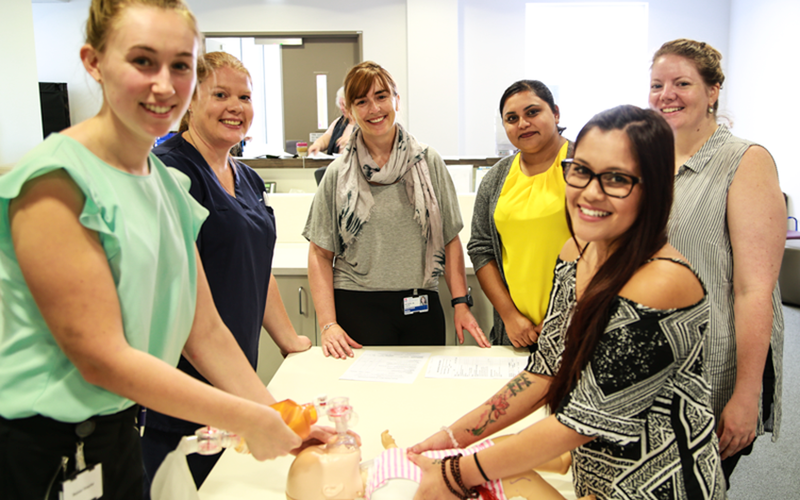 The service currently provides education and training for all staff in NBMLHD including Nursing and Midwifery, Medical Officers, Allied Health, Corporate and Support staff. Programs include orientation, clinical workshops, communication workshops, transition to professional practice programs and career pathway specific programs. The ETS is also a delivery site for NSW Health Registered Training Organisation (RTO) 90198 and provides Nationally Recognised Training qualifications including: Certificate III in Health Administration, Certificate III in Health Services Assistance (VET in Schools), Diploma of Leadership and Management as well as numerous single Units of Competency. In addition to education and training, the ETS also provides governance for My Health Learning, ClinConnect and Student Placement Agreements and represents the NBMLHD on numerous workforce and education committees at a state wide level. ETS also works in partnership with various Universities and other Training Providers, most notably the Western Sydney University, Sydney University and the University of Tasmania, to deliver graduate certificates and masters programs in nursing, midwifery and health service management. These partnerships support our staff to embrace lifelong learning, drive accountability and build capability and innovation, to ensure health care is patient focused. How do we support our staff?